Eileen McDonnell was named president and CEO in February 2011. Penn Mutual is the parent company of Janney Montgomery Scott LLC. She serves on the Penn Mutual Board of Trustees, and Janney’s Board of Managers. 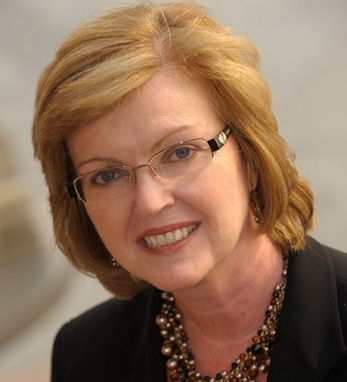 Eileen earned her MBA in finance and investments from Adelphi University. She served on the faculty in the Master of Science in Management program at The American College in Bryn Mawr, Pennsylvania. She was named one of the “Forty Under Forty” executives on the rise in 2002 by Crain’s New York Business magazine. With all four of grandparents hailing from Ireland – Sligo, Mayo, Clare and Leitrim – Eileen is proud of her Irish heritage. She says, “My grandparents instilled in me a sense of pride for my Irish roots, a thirst for knowledge, hard work and loyalty to my family!” Eileen and her daughter, Claire, live in the Philadelphia area.